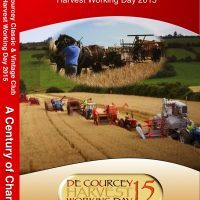 De Courcey Classic and Vintage Club are delighted to have New Holland as a partner in this year’s Harvest Working day at Barrell’s Cross, Kinsale, Co. Cork. The Club is looking forward with anticipation to the various Ford and New Holland models that will be on show at Barrell’s Cross on Mon 4th August. Recently the Club committee met with Gordon and Lorraine Sullivan from MC and S Agrisales Ltd, to discuss the upcoming event. 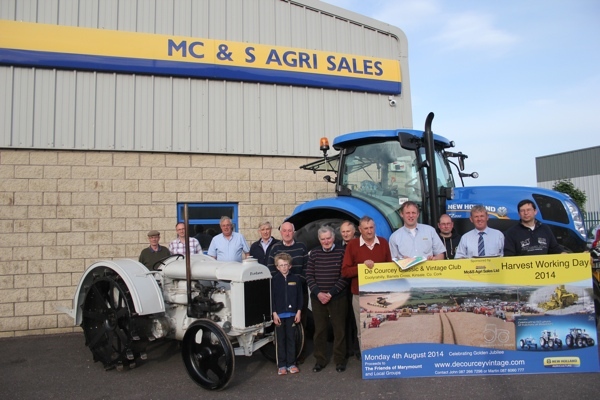 Pictured at this meeting alongside a New Holland T7.200 was a Fordson N belonging to Keith Bryan of Waterfall. This tractor with the Cork stamp on the fuel tank was built in the Ford plant at the Marina in 1929. Tractor production in Europe began at the Ford plant in Cork in 1919 when the Model N was produced there. When tractor manufacture moved to Dagenham in the U.K. in the 1930’s, so many of the Irish workers also made the move that Dagenham became known as “Little Cork”. In 1964 the tractor production moved to a modern plant in Basildon to begin assembly of the new generation of 1000 series Fords. The plant became New Holland in the 1990’s. 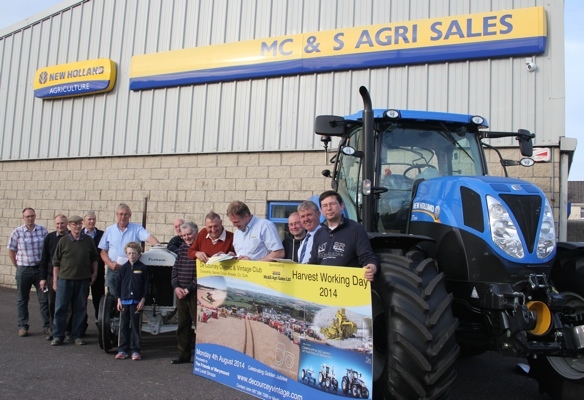 Fifty years on from 1964 Ford and New Holland return to Cork where it all began. 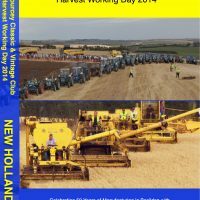 In Ireland, New Holland are celebrating the 50 years of production in Basildon by sponsoring the De Courcey Harvest working day 2014. The Harvest working day will showcase modern and Classic Combine Harvesters starting back at the MZ89 model through the Clayes 103, the Clayson 135 , Sperry/ New Holland models of the 60’s and 70’s to the 80 Series the TX32 and 34, the 60 , 700, 800 and 8000 Series, with the CX8090 Model representing the current range. As in previous years at De Courcey’s all of these machines will be seen operating in the harvesting area. As well as combines a full range of tractors dating from the Ford plant in Cork, The Fordsons from Dagenhan, The 1000 series, the silver jubilee 7810’s up to this year’s golden jubilee T6 and T7 models manufactured in Basildon will all be on show. Currently undergoing restoration is a 1919 Ford model F. This tractor rolled off the production line in Cork during the first months of operation and will hopefully be ready for display at the event. In addition a special attraction will celebrate the evolution of ploughing from the horse drawn era through each decade to the latest New Holland machines. Visitors will see horses ploughing, Ford model F’s and N’s, Fordson 27N “High Nellys”, Fordson Majors and Dextas, 1000 series , 600 Series, 10 Series , 40, 60 and 70 Series and the TM T7000 models. Each tractor will be ploughing with a plough appropriate to the year from ferguson system ploughs to trailed ploughs up to modern reversible equipment. Other attractions on the day will include horse drawn mowing machines, reaper and binder, Steam threshing, Hand milling of corn, static display of vintage cars, tractors, motorbikes and engines. There will also be music and dancing and plenty of good food. Funds raised from the event will be donated to Marymount Hospice, Ballinadee and Ballinspittle primary schools and Courcey Rovers underage GAA teams. 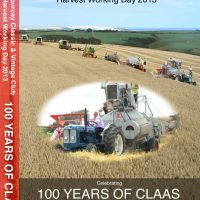 This entry was posted in News and tagged 2014, Classic, Club, Courcey, Day, De, Harvest, Mc & S Agri Sales, New Holland, Vintage on May 19, 2014 by admin.